Yesterday's session didn't get off to a good start when I managed to bash my float rod into something while walking to my swim. Although it was folded in two in my quiver with the tip 'protected' in the pocket it must have bent back on itself sufficiently to snap an inch or so down. That's only the third rod I've broken in over forty years, so compared to some people I've been lucky given the lack of care I give my rods. The first rod I broke was a hollow glass pike rod which snapped about six inches from the tip when I tried casting out an over-ambitious livebait. 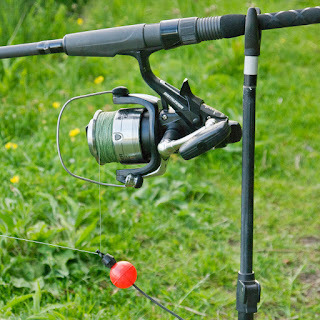 I was miffed at the time as it was the rod I'd used to catch my first twenty and it had fond memories attached. The repair was successful and it carried on catching pike after that as if nothing had happened. 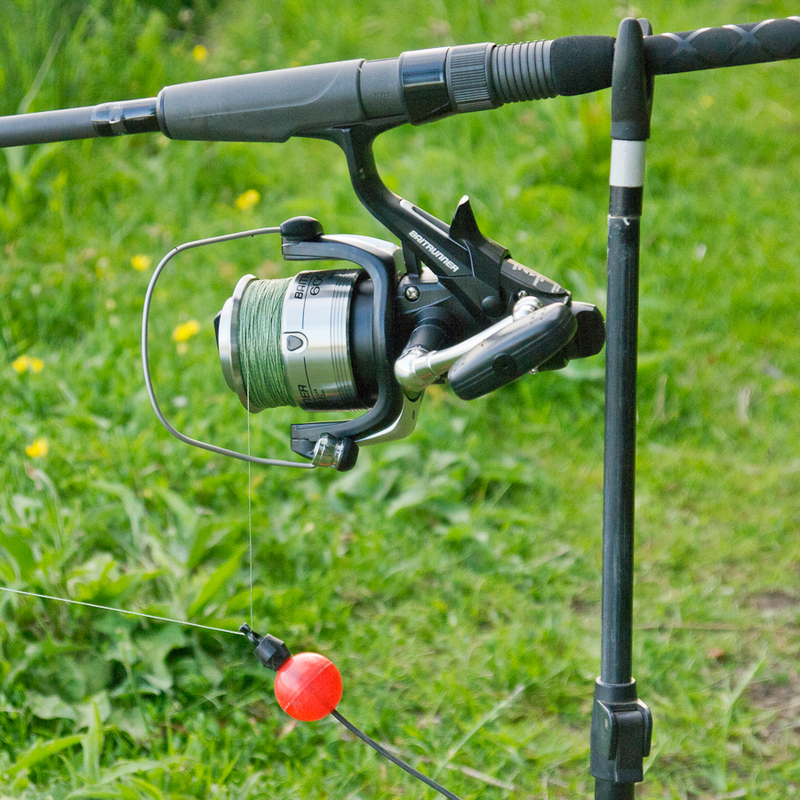 I still have that rod it being the only glass pike rod I didn't sell when I 'went carbon'. The second rod I broke was an Interceptor with a solid spliced quiver tip. I never liked the tip, so its removal and replacement with a glass one was going to happen anyway. It was much improved. Undeterred by the mishap I removed the tip ring from my line, retackled and started fishing for bait. Needless to say the first fish I hooked was a too big skimmer. The second one was a slightly bigger skimmer that came off when the line went slack as I tried to untangle it from the broken tip. After an hour of this, I was getting bites which I expected were from more of the same judging by the bubbles coming up from where I was trickling in maggots, I gave up. Enjoyable as it is to float fish on a warm summer's evening it's not as relaxing when you are constantly watching for line wrapping round the tip of a busted rod. Knowing that I can never catch bait when I want it I'd put some worms and the remaining frozen rudd in the rucksack - just in case. When I got to the Moth Pit I set up the eel rods, complete with new eel reels, and chucked out a whole rudd on one and a couple of worms on the other, both over a carpet of red maggots. It seems like spring passed us by without making much fuss and summer is suddenly here. Weed is showing in the clear margins, growing up in quite a depth. Flowers are beginning to bloom. The choking scent of hawthorn is in the air. Best of all the bunny suit that was only just keeping me warm a week or so ago can be left at home. As the longest day approaches twilight lingers longer. It's difficult to determine quite when night has actually fallen. There's a brief period at dusk when the hawthorn is in flower when clouds of mosquitoes rise and fall around them in buzzing clouds. Some break free of the group and mount raids on unsuspecting anglers. Once the sun sets and its heat is gone the insects disappear. 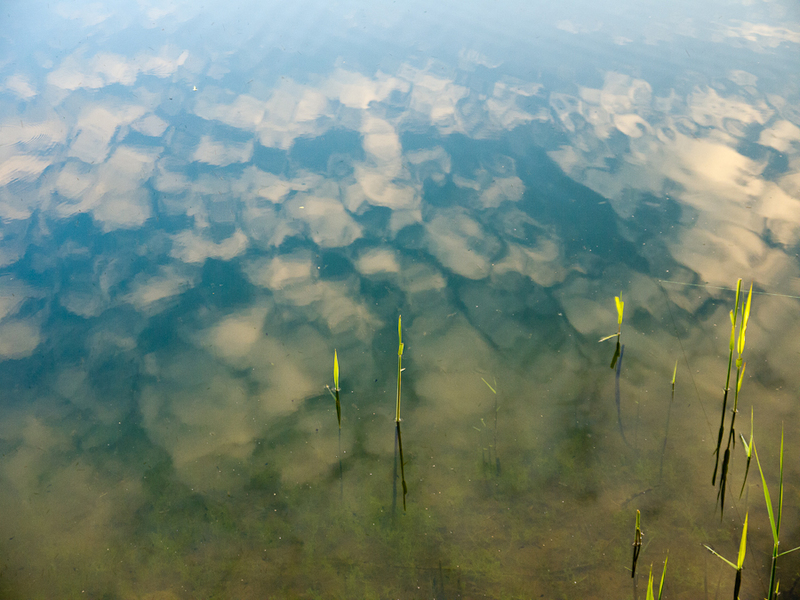 The bats and moths don't.There's always something to watch when you're fishing. Before darkness had closed in the drop-off on the deadbait rod did its job. Braid was trickling over the Delkim, the sounder murmuring in my fleece pocket. I closed the bale arm and struck into nothing. Pretty much as I expected. A few minutes later the other bobbin twitched, then fell away. This strike met with slightly more resistance provided by a bootlace that hardly counts as a fish to christen a new reel. Still, it was a fish. And it took worms. It's much easier to collect or buy worms than catch deadbaits of the right size! With the tiny snig returned I packed up for the second time. This morning I repaired the float rod, glueing the ring straight onto the fractured tip. I've got to find somewhere to use it to catch myself some eel baits. I have a tip-off on a place that's full of small fish. So easy to catch are they that you get bored after an hour. Knowing my luck there'll be one monster carp in the place and I'll hook it, play it for a while as it ruins the swim then lose it. I feel like I should be going tench fishing now the weather is right, but I can't face getting up early to do it locally, and the thought of driving any distance to spend a couple of nights bivvied up has lost its charm. Then again I might change my mind tomorrow!